This is the million dollar question, and providers across the country are asking it daily. Every agency is looking for ways to offer more than the other employer down the street in an effort to lure top talent. It’s no easy task, as there are more competitors in Caregiver recruitment now than ever before as retail, fast food, and other industries are targeting the direct care workforce with lower barriers to entry. But there is a way to make joining your agency’s workforce easy while offering something less than half of your competitors currently do. Only 45% of Caregivers report their current or past employer paid for the necessary CPR training before beginning work. If you want to come out ahead in your Caregiver, HHA, and CNA recruitment, be the agency who offers this to their staff. If you’re a close follower of the content we publish at myCNAjobs, you’re likely familiar with this mantra for home care recruiting. Many agencies require an up-to-date CPR certification before working with clients, yet only 45% of Caregivers are being assisted through this process. For some candidates, this can be the difference between making the hire and losing them for good. Imagine you’re a Caregiver for a moment. You’re in high demand and are being recruited not just by multiple home care agencies, but also other industries like retail and fast food. Perhaps your CPR certification has lapsed, or maybe you’ve never been certified. Some recruiters you talk to are telling you not to bother showing up to the interview without your certification in hand, while another recruiter says not to worry about it – they’ll pay for you to get the required training before starting work. Which employer would you choose to work for? We’re seeing many agencies start to bring in a first aid instructor as part of the orientation process for any candidates who don’t have up-to-date certifications. First aid certifications are a great first example, but the same principles apply for required medical testing as well. Only 62% of Caregivers report their required medical testing was paid for by their current or past employer. Offering this as a part of the hiring process at no cost to your staff can vault you into the top third of your market overnight! For many Caregivers, medical testing is an even bigger barrier than first aid certification might be. If we put ourselves in the shoes of a Caregiver again, which employer sounds more attractive? The one who will guide you through the process and pick up the tab, or the one who requires you to have results in hand before they’ll even meet you? In order to keep enough Caregivers in the field to meet the rising demand for care, steps like this are going to be necessary. 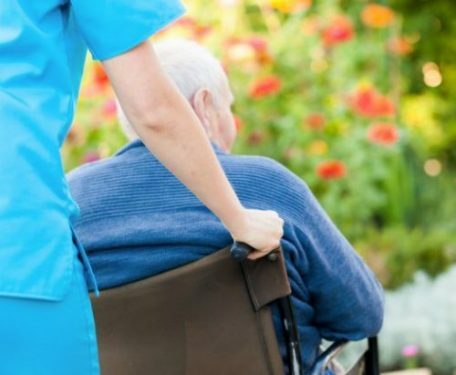 As other industries continue to encroach on home care’s workforce, the agencies who make it simplest on the employee are going to be the ones hiring Caregivers, while agencies who keep these barriers in place are going to lose the Caregiver and CNA recruitment battle.